• the charges do not exceed the amount payable by the landlord for water used by the tenant. 2. A tenant is not required to pay the water usage charges unless the landlord gives the tenant a copy of the part of the water supply authority’s bill setting out the charges, or other evidence of the cost of water used by the tenant. 3. A landlord must give the tenant not less than 21 days to pay the water usage charges. 4. A tenant is not required to pay the water usage charges if the landlord fails to request payment from the tenant within 3 months of the issue of the bill for those charges by the water supply authority. 5. Subsection (4) does not prevent a landlord from taking action to recover an amount of water usage charges later than 3 months after the issue of a bill for those charges, if the landlord first sought payment of the amount within 3 months after the issue of the bill. 6. A landlord must ensure that the tenant receives the benefit of, or an amount equivalent to, any rebate received by the landlord in respect of any water usage charges payable or paid by the tenant. 7. Note: Tenants under social housing tenancy agreements may be subject to different provisions in relation to the payment of charges for water usage (see Division 3 of Part 7). 8. This section is a term of every residential tenancy agreement. 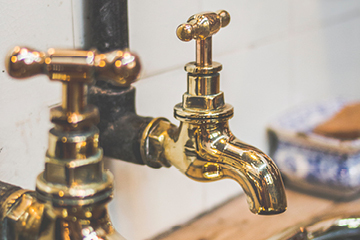 Let’s look again at s39(2) – A tenant is not required to pay the water usage unless the landlord gives the tenant a copy of the water supply authority’s bill setting out the charges, or other evidence of the cost of water used by the tenant. The clear understanding of this subsection is that for the tenant to be required to pay the water usage they need to be given a copy of the water authority’s bill, not just some calculation that the landlord has done due to a meter reading they have obtained from the Bunnings meter reader they have installed. C. there must be no leaking taps on the premises at the commencement of the residential tenancy agreement or when the water efficiency measures are installed, whichever is the later. Note: Taps and showerheads having a maximum flow rate of 9 litres per minute have a 3 star water efficiency rating. To ensure your landlords are able to charge water usage charges it is imperative that the requirements of the Residential Tenancies Act are followed.